William was a 31 year old labourer. After attestation, he was not called up until June 1916 and then after training he was sent to France on 1st December 1916. 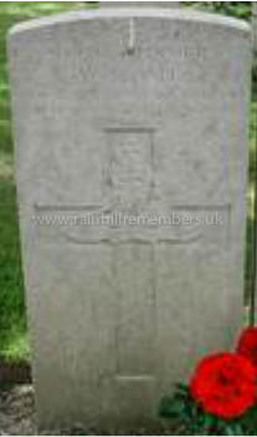 He was killed in action on 14th August 1917, aged 32. His effects being sent to his widow on 9th January 1918. In July 1922, Margaret returned the Final Verification Form to the War Graves Commission confirming his personal details. He rests in Bard Cottage Cemetery. At a special ceremony at the Warrington Road Cenotaph on Sunday 3rd July 2016, Rainhill village dedicated a new plaque bearing the names of 17 men with Rainhill connections who perished during WW1. These men's histories were found during Rainhill Civic Society's research. Rainhill Parish Council funded the plaque and organised the ceremony with Rainhill Civic Society, our local Churches and the Royal British Legion. William Percival Ball is one of those names. 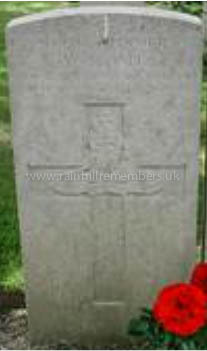 The CWGC grave of William Percival Ball of the Royal Garrison Artillery in Bard Cottage Cemetery, France. The inscription on the Ball family grave in St. Ann's Churchyard, Rainhill.